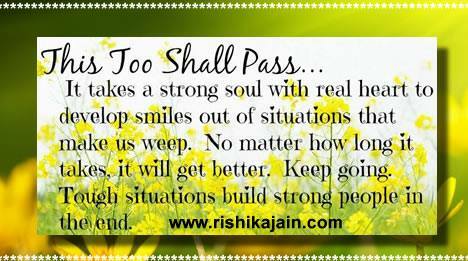 This too shall pass …. It takes a strong soul with real heart to develop smiles out of situations that make us weep . No matter how long it takes, it will get better. Keep going .Tough situations build strong people in the end.